Why they gave Brittany this song is beyond me. Poor. 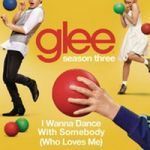 Terrible, this song epitomises why Glee has been on a downward spiral this season. Firstly, a singer of Heather Morris' ability should never have been given this song to perform, she is too limited in her ability to pull this off so what do the producers do they decided to drown her in autotun. Secondly this song is all style over substance, it was only recorded to show off Heather's dancing ability. Thirdly the song really was shoehorned into the episode just for the sake of performing the iconic Whitney song. The sooner the producers stop giving the dancers songs to sing and give them to the singers of the cast, the sooner Glee may return to its glory days.